The last 30 shows or so, I found it entertaining to practice my listening skills. To go into each of the 150 rooms or so, per show, and describe, to yourself, the sound. * What kind of sound was it? Was it emotional? Impressive? Analytical? Boring? Exciting? Was it filled with life or dead sounding? * How well did it form the notes? Was decay too long or too short? Was the attack too sharp or did the note seem ‘slow’? How was the timbre and did it change with volume or frequency? * How well did it behave up and down the frequency spectrum? How did it handle loud and soft notes? How did it handle a lot of content happening at the same time? [was their good separation or was there a ‘wall of sound’ effect]? * If the sound was pretty good, then listen for things that are secondary, that depend on other things being right first, like soundstaging and imaging. Then continue by trying to tell which component was contributing what to the sound. * Amps are supposed to drive the speakers. If they do not do this well, and most amps fail at this to some degree, it is clearly audible [‘under-driving a speaker’ is only an extreme case of this]. 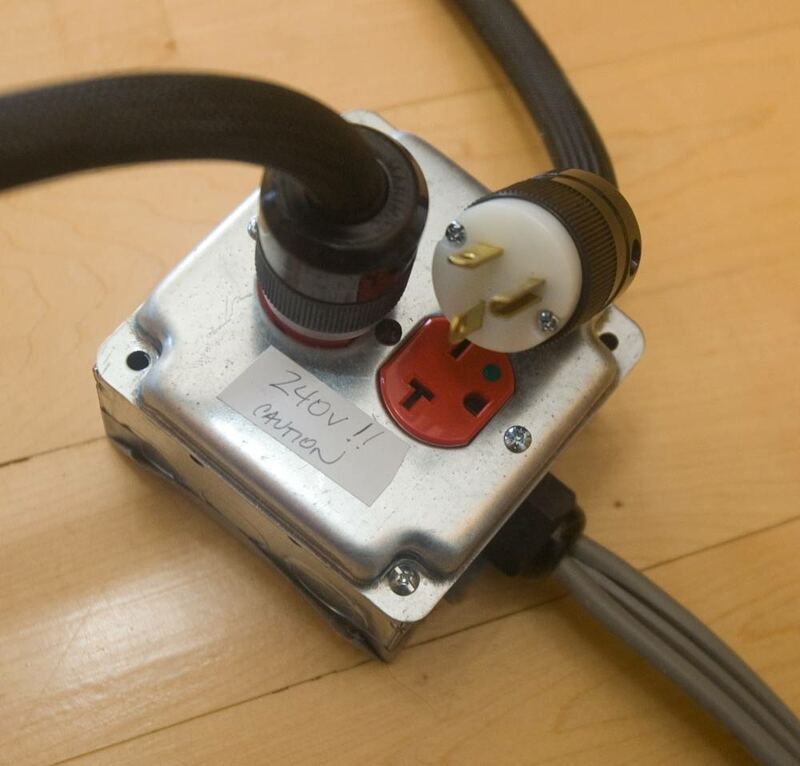 * Cables are harder to hear as a separate entity in an unknown system unless you are very familiar with the cable, IMO. Otherwise they are a case of ‘if everything else is right’, then it is up to the cable to make or break the sound. * Sources, CD players and turntables, reveal themselves by just how much information is in the sound. Yes, it takes a good system to reveal the characteristics of a good source, but most systems are up to the task, it is the source that often short-changes systems by not generating a sufficient quantity of information for the system to translate into sound. Speakers, amps, etc. do many other, audible, things to the sound that can be heard at shows. Someday we’ll try to make an exhaustive list. The idea is that after hearing the same component [or nearly the same component] in so many different rooms and systems, you learn to know what the component sounds like. Its character, its flaws, what it can do well. Using this process, you can learn what most speakers and components sold in the U.S. really sound like. You can also with a pretty good success rate, predict what your friends and colleagues systems sound like just by knowing which components they are using in them. They will often be some variation of a system you heard a couple of times in different rooms at different shows. It just takes some discipline and listening to a lot of rooms at a lot of shows. Hope to see you all at the next show! Along one’s travels through the universe of audiophilia, one comes across 30 amp 240 volt amplifiers every so often. 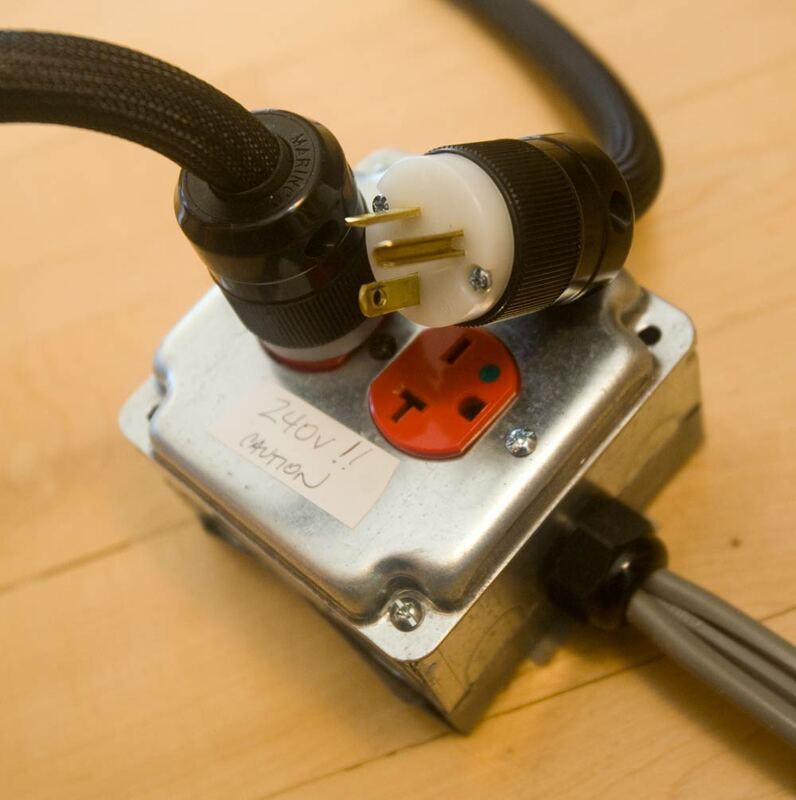 But what if you do not have a 240 volt outlet in your listening room? 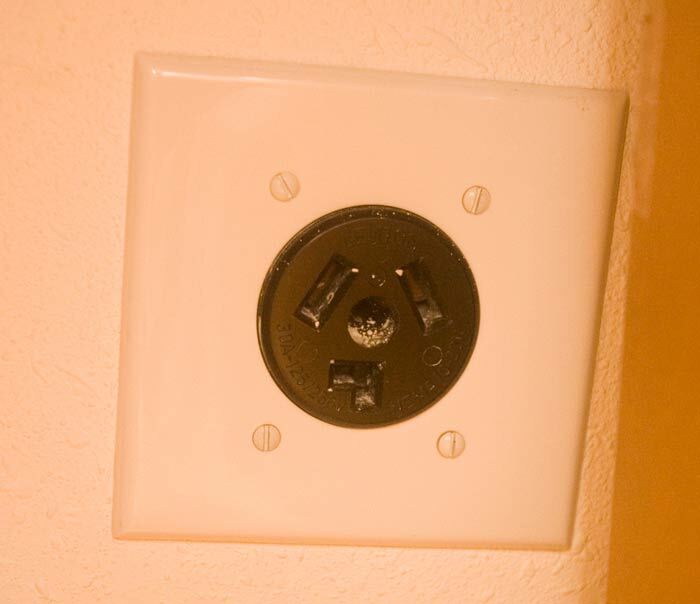 Here in the U.S., many homes do have a weird-shaped 240 volt outlet like that seen below. 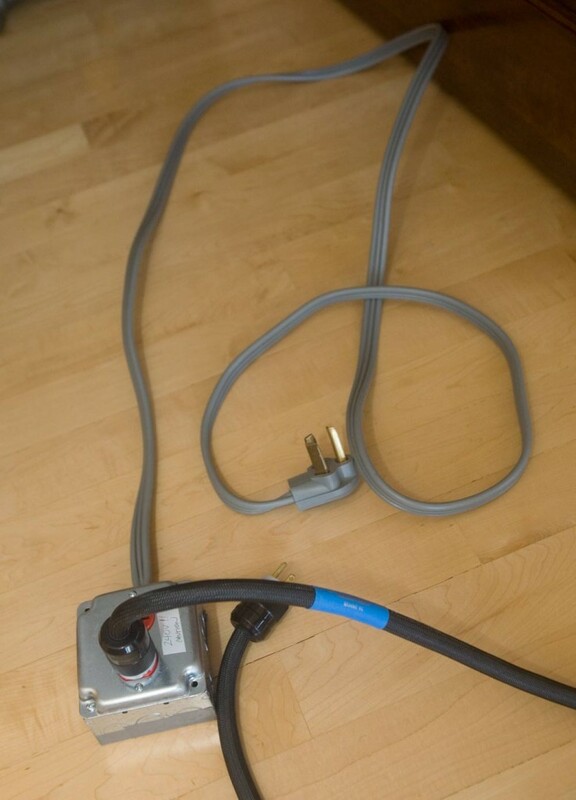 This is the type of outlet that electric dryers use. 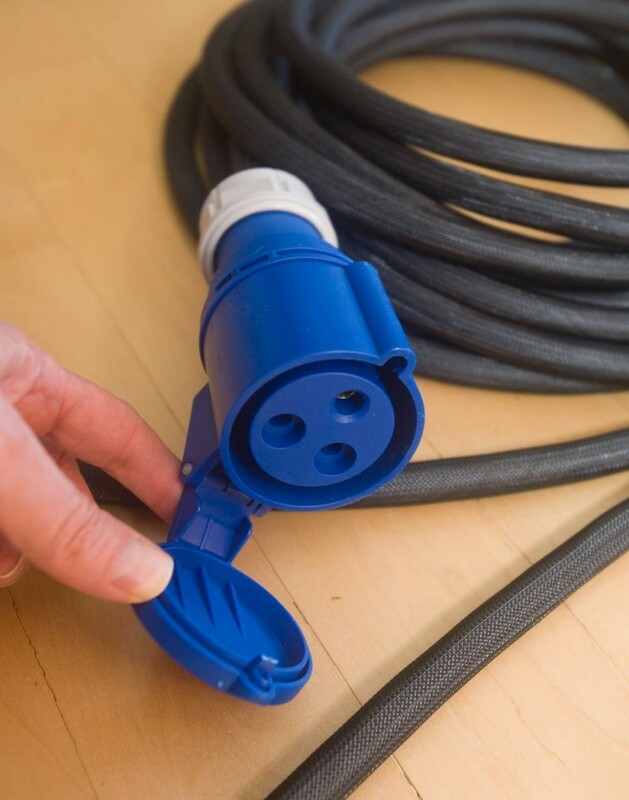 It just so happens that in our home, the electric dryer outlet was originally in a small room off of the dining room, which is open to the living room where is our main listening room. Currently, this small room, formerly the laundry room, is now the ‘closet of boxes’. 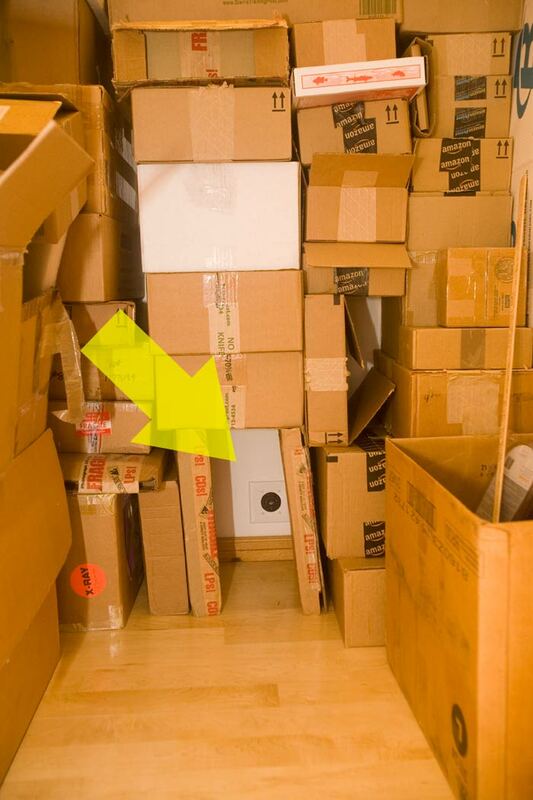 This is where we store boxes to be used for shipping small things like cables and HRS Nimbus and Couplers. 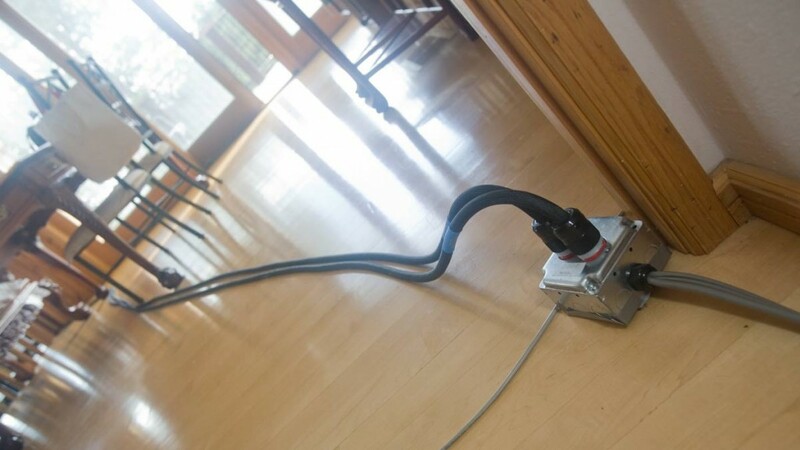 And the 40 foot power cords to the amps snake across the dining room and into the living room, along the wall finally plugging into the amps. 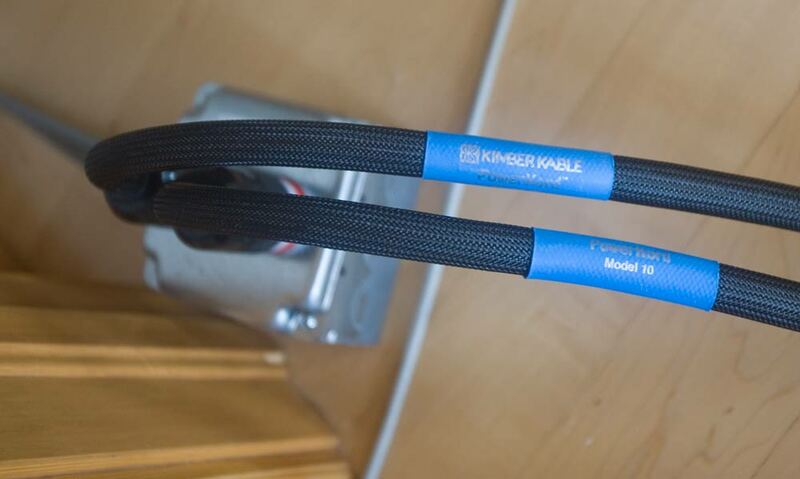 The 40 foot power cables we used are from Kimber. 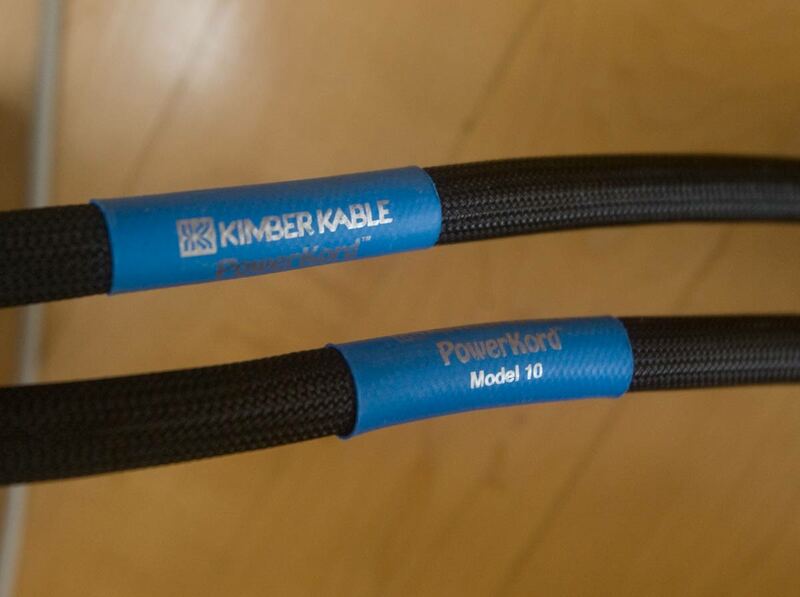 In particular the Kimber Kable PowerKord Model 10 power cords. 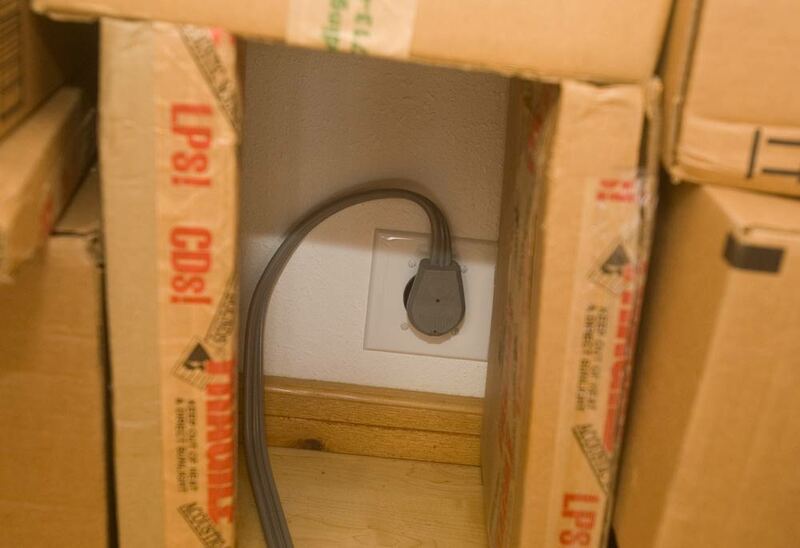 The cool little box that Neli built was an in-wall 4-gang box and a 2-gang cover from Home Depot. Two of the holes in the cover have no matching holes in the chassis. After spending some time in this section and looking at all the options, it is our considered opinion that our Home Depot just carries a bunch of random parts, the majority of which are either redundant or incompatible with the other parts. 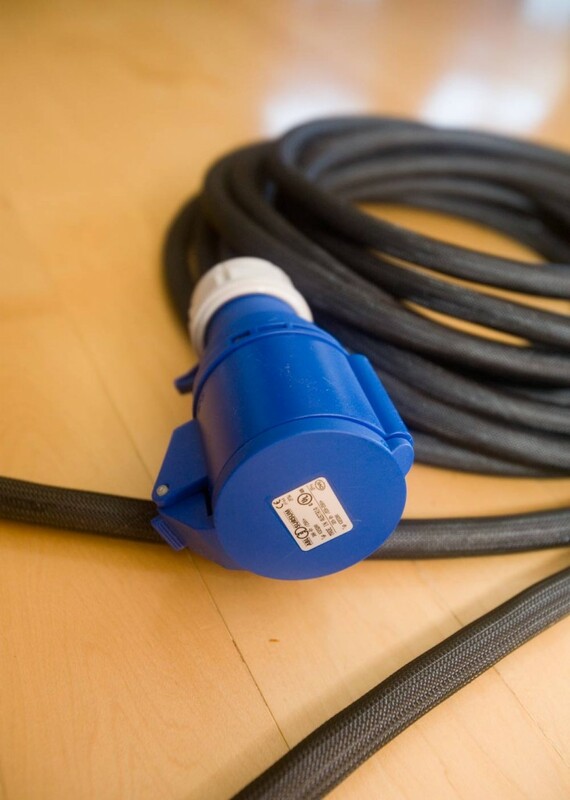 The other end of these 40 foot power cords is a rather blue socket. These are 30 amp IEC connectors. This is what the inside of the business end of these 30 amp IEC connectors look like. The amps we used this with are just prototypes, and I am not sure if they still use these same sockets in the production models. [I’ve been thinking about a series of posts about how few audiophiles actually care about good sound. It is certainly an ephemeral concept – and it is certainly hard to use written or spoken language to talk about in any kind of precise manner. So it is not too much of a surprise to find most of what passes for discussion, albeit coached in audiophile-ese, is not about the sound. And it is not a surprise, that given the dearth and inability to talk about good sound – that the gear and systems people buy have little relation to what they would be buying if it was generally known what good sound actually was and how a person could go about getting it. Finally, I think this is a real problem for the industry if it ever wants to make inroads to selling to the General Public. Unless the GP can be convinced that geeking out buying extremely expensive gear just because it is oh my gee whiz cool, or incessant arguing about nothings on forums which takes the place of pride and passion in our little hobby, is worth the price of admission i.e. dedicating a few years of all your spare time learning ill-defined audiophile-ese – then our little slice of heaven is just going to get smaller and smaller. By some strange, wonderful and curious happenstance certain speakers work much better with certain amps than with other amps. This fact is largely, almost entirely, ignored by pundit and audiophile alike. People pretty much pick amps for their speakers and speakers for their amps at, what is for all intents and purposes, random. They certainly do not pick them, these marriages of amp and speaker, these trysts, based on the quality of the resulting sound. This is not like human marriages where the couple has a chance to actually fall in love later in their marriage. This marriage of amp and speaker, if they do not love each other at first listen, they ain’t ever going to get the deed done. It is unchanging and final: it is like playing Russian Roulette with $10K bills and the gun is pointed at your ears. In this game, people typically pick a cool lookin’ or hot or well-reviewed speaker and pair it with a cool lookin’ or hot or well-reviewed amp. Has to sound good, too, right? Anyway it certainly is fun to experiment. Krell on Quad anyone? It is awesomely fun, especially if you have a lot of time and money [and who doesn’t? ;-}]. But don’t kid yourself that it is about the sound. Who cares if it is not about the sound? About how good it sounds? Does it really matter? Not everybody has to be a purist, right? I think not many audiophiles really, truly care at all… but that the General Public does! The one thing high-end audio is supposed to do, Sound Good, is what the General Public may, if they so dare, poke around our neighborhood looking for. But instead it is like going to an auto dealership and all you can find is people putting old Chevy engines in Toyota Camrys and talking about how cool it all is. Cool. Fun. But not about the sound [ala Performance]. OK. Best speaker amp combos in History [these are somewhat limited by what we are familiar with here at the Fed as well as what exhibitors like to bring to shows. We used to tour dealerships to hear different systems, but most of the systems kind of sucked a bit and misrepresented what we now know was possible with the gear]. Shows and exhibitor’s tendency to just pair this thing with that – much more random even than audiophiles, allows one to hear a lot of strange and not so strange combinations of gear. * Wilson speakers on Lamm amps [no, we do not include the other ‘marketing-driven’ marriages that Wilson has set up on this list]. * Magico speakers on Luxman amps [has real potential. Need to hear this again in a different system to confirm. But exhibitors are too clueless about magical pairings like this that we are unlikely to hear it again]. * SoundLab speakers on Wavac amps [Need to hear this again in a different system and/or room to confirm. No, this does not mean that SoundLab speakers will sound amazing with any random tube amp you care to put on them. They might – but you can’t tell until it is heard a few times and in the context of other similar systems]. And in the Wayback Machine…. * Crosby modified Quad 63’s driven by Richard Lee’s modified Spectral DMC10/ mono DMA50’s ( that is the original marginally stable DMA50 not the later more stable version). Others? I know I am missing some. Feel free to post your comments about others – but please don’t just post some system you liked when you haven’t heard a bunch of other systems that are quite similar to your choice but which sound very inferior to your choice. When you hear a system with the same speaker and cables but lots of different amps – and that one amp stood out head and shoulders above the others? That system just kicked rear end up and down the frequency spectrum? Then you got something special! The kinds of marriages we are listing here have gone up against many, many other combinations of similar gear and are far and away the best sounding combination. It is the fact that everybody is not, each and every one of them, just using these known combinations of gear that really excel in the sounding good department that raised the WTF flag for me and inspired this post.